The Big Issue has helped thousands of vulnerable people to take control of their lives, and currently works with around 2000 homeless and vulnerably housed people across the UK. 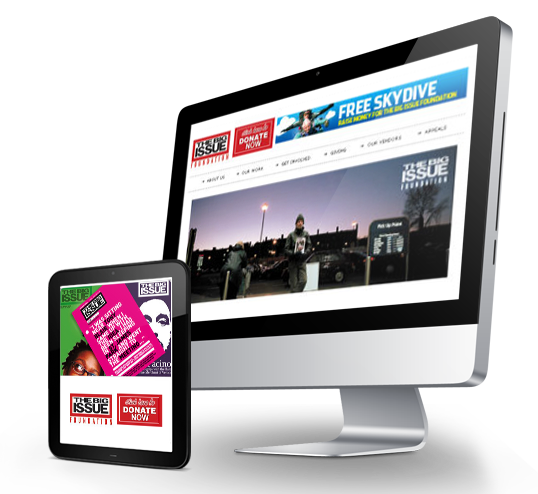 When the Big Issue had very little web budget we helped develop their web presence with a low cost content management solution. Web Development, Content Management (CMS), Hosting.